So you'd love to open a gourmet coffee business? If so, print this article, read it three times, and staple it to your office wall. Wondering how to start a gourmet coffee business? We take you step-by-step from start to success. The early success of Starbucks and other gourmet coffee vendors inspired streams of entrepreneurs to enter the coffee service industry. But Starbucks' financial troubles proved that selling gourmet coffee isn't a slam dunk. There are still profits to be made in gourmet coffee, but to earn them you'll need to be at the top of your business game. Market research is essential in today's gourmet coffee industry. Middle to upper-middle class neighborhoods represent the target market for gourmet coffee, but the industry continues to be vulnerable to economic downturns and a lack of discretionary spending among consumers. Market saturation can be a problem in many areas. It's clear that ambience is part of the value proposition in gourmet coffee sales. Product quality is important, but gourmet coffee customers are equally interested in the buying experience. Combined with the scent of freshly brewed beans, music and lighting can cast a powerful spell over coffee enthusiasts. During its restructuring phase, Starbucks recognized the need to meticulously follow production standards to maintain the quality of their products from one buying experience to the next. Startups need to develop and document their own custom blends, and then create a culture where production standards assume a god-like quality. Diversification is another hallmark of successful gourmet coffee shops. It's important for gourmet coffee providers to offer a wide variety of drink and food products. However, it's also important to offer products at a variety of price points. When money is tight, customers should have the option of participating in the experience at multiple price points. Finally, today's gourmet coffee industry is struggling to identify viable opportunities for expansion. Although additional locations are always a possibility, the most productive expansion channels seem to be products that allow customers to enjoy aspects of the experience from the comfort of their own homes. Bean sales, coffee preparation devices, and even music merchandising can allow customers to prolong the experience. 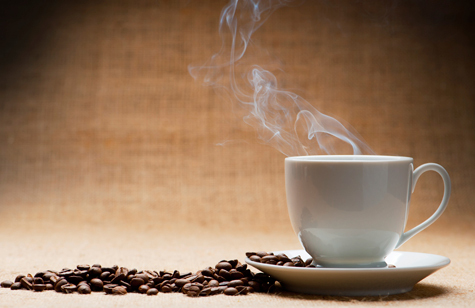 The popularity of gourmet coffee has grown steadily over the past fifteen years. In fact, gourmet coffee market is now growing at about 15% annually and now accounts for over $1.5 billion dollars per year in sales. The U.S. market is especially fond of coffee, with each citizen consuming more than 3 cups per day on average. Gourmet coffee is rapidly gaining market share, with 18.12% of the coffee drinkers in the United States indicating that they drink gourmet coffee beverages daily. Long story short, as an entrepreneur, you can start a great business in the specialty and gourmet coffee market. Just make sure you think everything through and find a niche that works. A great business plan will lay a strong foundation for growth in your startup gourmet coffee business. The most effective gourmet coffee company business plans include a comprehensive chapter on finances. Not surprisingly, lenders immediately turn to the financial section and use the accuracy of your forecasts to gauge the value of other parts of the plan. Subsequently, a thorough understanding of business plan financial basics is a prerequisite to effective business plan writing for gourmet coffee businesses. Prior to opening a gourmet coffee business in your area, it's a smart move to find out how strong the competition is. Try our link below to generate a list of competitors in your city. Complete the form by entering your city, state and zip code to get a list of gourmet coffee businesses that are close by. If you are seriously contemplating launching a gourmet coffee business, it's essential that you learn as much as you can from somebody who is already in the business. If you think your local competitors will give you advice, you're being overoptimistic. It'd be crazy for them to teach you the business. On the other hand, an individual who has a gourmet coffee business outside of your community can be a great learning resource for you, provided that you won't be directly competing with them. Indeed, many experienced entrepreneurs enjoy offering advice to startup entrepreneurs. In my experience, you may have to call ten business owners in order to find one who is willing to share his wisdom with you. The key question new becomes: how to find a gourmet coffee business founder on the other side of the country to talk to? Startup gourmet coffee businesses carry a host of financial risks and concerns. Without an operational history, it's hard to predict how your startup will actually perform in the marketplace. The chances of thriving in your new business immediately improve when you opt to franchise and benefit from the prior work of others and their lessons learned. As part of your process in starting a gourmet coffee business, you may want to assess whether there are good franchise opportunities available that might be the right move for you. What's the Best Coffee Franchise for You? If you are interested in starting a gourmet coffee company, make sure to check out the resources from industry trade associations. National Coffee Association (NCA) - The National Coffee Association of USA was founded in 1911, one of the earliest trade associations formed in the United States and the first trade association for the U.S. coffee industry. Specialty Coffee Association of America (SCAA) - The SCAA is the trade association for the specialty coffee industry. Members include coffee retailers, roasters, producers, exporters and importers, as well as manufacturers of coffee equipment and related products. International Coffee Organization (ICO) - The ICO is an intergovernmental organization for coffee. Coffee entrepreneurs will find it to be an excellent resource for coffee industry statistics, trends and general information. How can we improve this article on launching a gourmet coffee business? Your input helps this article become more useful to others. Very informative. I'm opening a coffee shop and the First Barista School in Chicago. Also, developing a Coffee Tasting Events(TM) network. I'll be using your information as reference. I am opening a coffee shop in Milwaukee Wi within the next month or so. If you could send to my e-mail any good advice as far as longterm goals i would appreciate that so much. I'm hoping that everything goes well and my drive is mainly to push a healty product. Are You Already a Gourmet Coffee Business Owner? Are You Selling to Gourmet Coffee Businesses?